In the UVS worldview, the entire observable universe is imbued with a paradoxical nature rendered by the paradoxical effect of nature. And thus all its harmonically resonated manifestations are inherited with this paradoxical characteristic; The entire observable universe is subliminally paradoxical. The two illustrations listed below are some of the known delusively inversed illusions of nature that could be easily comprehended. The phenomenon of sunrise is a delusively inversed illusion. The Sun does not rise like it is apparently seen. This is merely a perception on a rotating Earth that renders its relative motion illusion in its delusion. Its subliminal natural negation is caused by its observation in a localized perspective on an apparently motionless Earth that rotates. Cartwheel galaxy seems to be facing towards Earth, but in fact it is facing away from the Earth. And this is proven by a Chandra X-ray image of the Cartwheel galaxy. The image on left is an optical view of the Cartwheel galaxy group, the Cartwheel galaxy is the largest galaxy among the group of three galaxies in the image. Image on right is the X-ray view of a transgalactic phenomenon showing a column structure connecting the Cartwheel galaxy group. Listed below are some empirically observed natural phenomena with their delusively inversed illusions resolved with the UVS methodology. Sun is not orbiting its Galactic Center; Sun in Milky Way is spiraling on a galactic vortex around its Galactic Center. Globular cluster is formed by a vanished galactic satellite vortex that this material nothingness was invisible at the first place. The gas tail phenomenon of comet is merely a glowing section on the warped vortex column, rendered by the reactive centrifugal force of the vortex in the coma to interacte with those lit up ions, which are being pushed away from the vortex column while circulating in vortical motion within the encapsulated and vortically weaved nested atmosphere of its coma. The observation of chemical reaction that leads to a conclusion with scientific proof that the Antractica Ozone Hole is chemically caused, is an artificial cognitive paradox of its delusion; the ozone hole is mechanically formed by its underlying atmospheric polar vortex. The sunken mesosphere with super freezing air inside the vortex column reacts with the ozone layer outside the vortex column, and therefore has had rendered the chemical reaction as observed; this renders the delusively inversed illusion for the causality of the ozone hole. 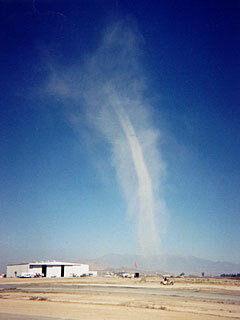 The appearance of dust got sucked up into the vortical air column is an optical illusion; dust is instead being pushed up by the vortrex of its clear air vortex that impels the dust devil. Many so called impact craters are believed to be caused by meteors from Space, were actually caused by vortices of liquefied crust that have had manifested on the Earth's crust. Most earthquake occurs from underneath the Earth's crus,t is triggered by an external mechanism from Space. The observable universe is not expanding in acceleration; the phenomenon of accelerated expansion as observed is simply a misconception as a result of a time frame negation effect that causes its observational delusion. See the UVS topics on "Overviews of the UVS research" that elaborates on the methodology for elucidating the delusions of enigmatic natural phenomena, "An apparently paradoxically universe" that elaborates on how some known delusively inversed illusions of nature were revealed, and "Optical illusion" that reveals the negations of some very amazing artificial optical illusions. 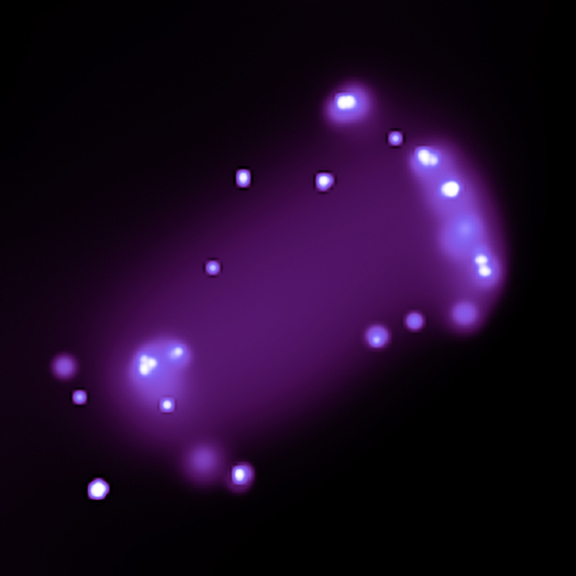 Images of X-ray Cartwheel Galaxy - NASA/CXC/A.Wolter & G.Trinchieri et al.